When the first mainstream smartphones starting arriving around a decade ago, there were certainly conventions that were commonplace. Many had QWERTY keyboards on the front, or at the very least featured sliders. The idea was that you could get more done by having more buttons to do it with. While it wasn’t the first touchscreen smartphone, the iPhone was one of the first devices to take a different route. The Apple iPhone ditched the multi-button scheme and went with a beauty touch design that truly was “less is more” when it comes to the buttons, switches and knobs. This trend has continued, both for iPhone designs and its competitors. In the Android world, for example, many newer handsets have ditched physical buttons in favor of software keys that are only there when you need them. A phone with a smooth surface and less buttons and showing components is generally considered more aesthetically pleasing. 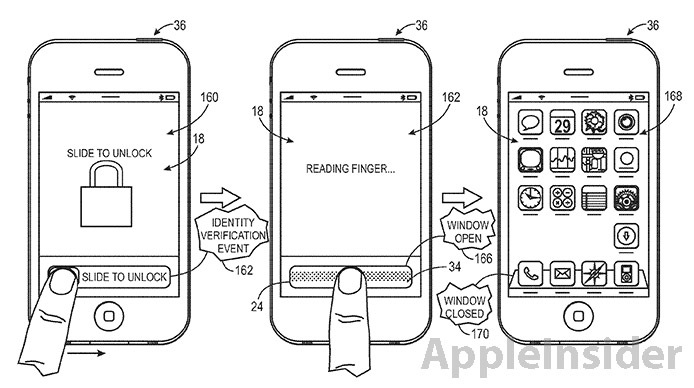 With that in mind, Apple is taking things to the new level with a new patent. The patent describes a system can truly make components disappear when you don’t want them. Using a liquid crystal window, Apple could soon hide components behind a window that can turn opaque to transparent whenever needed. For example, the camera would be hidden by an opaque window until you launched a camera app. After that, you could see it while it was in use. The patent also suggests the idea of a fingerprint reader for logging in that can only be seen when you are actually logging in. This an interesting concept, but does that mean we will actually see it in the iPhone 5S or whatever they choose to call it? Probably not. This is an interesting idea, but Apple often patents concepts that either don’t make it into actual devices or don’t show up until years later. What do you think? Like the idea or not?